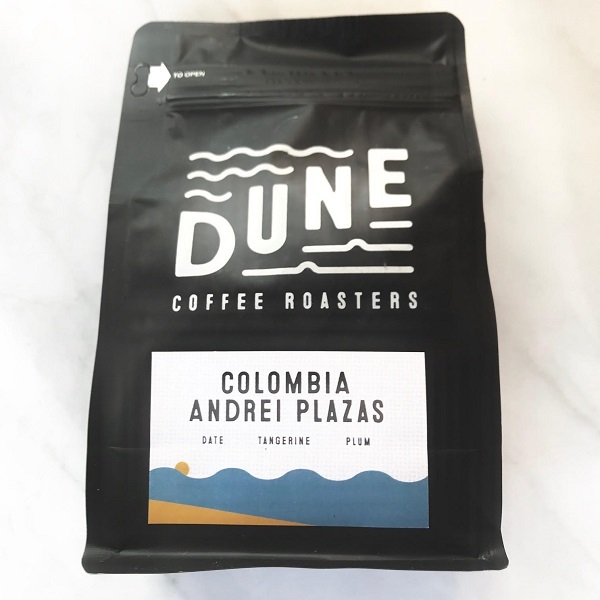 This is the second coffee we’ve reviewed from Californian based Dune Coffee Roasters. This is a single origin coffee, from the popular coffee region of Huila, Colombia. Andrei Plazas is the producer / farmer, and the namesake of this coffee. As an espresso it surprised with a pumpkin like taste. It might be a combination of the plum and tangerine mixing under the pressure. Either way it was smooth and drinkable, with a classic slight espresso bitterness. This is a medium roasted coffee that as a pour over, provided notes of tangerines, with a more plum-y finish. This is a coffee that showed true single origin characteristics, but it’s not over-powering or exotic, and most coffee drinkers will enjoy this roast. Special thanks to Chach from Dune for the coffee, visit them at dunecoffeeroasters.com. Make sure you check them out!